Our inside source can reveal that a D-Boys secret society does in fact exist. Detailed investigation is ongoing. Something fishy is definitely going on here. 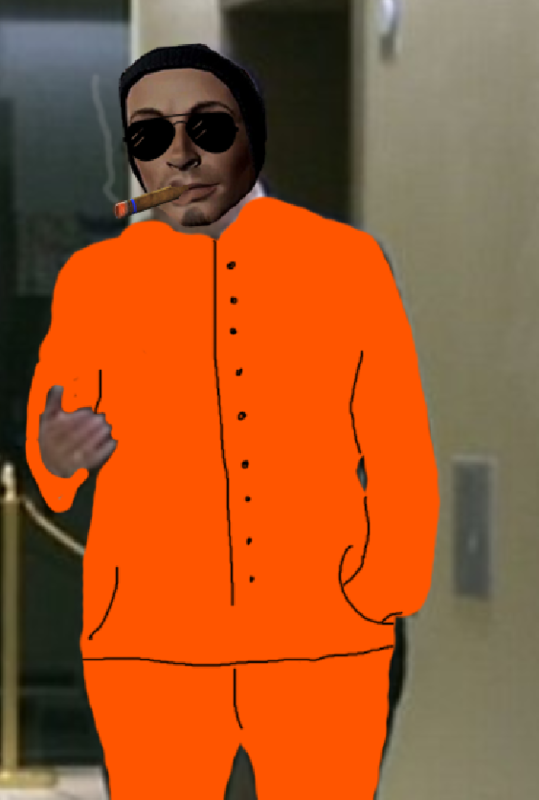 The "D-Boiz Secret Society" is allegedly run by Shades McDboy, a Class D test subject who supposedly escaped the facility, but opted not to become part of the Chaos Insurgency. 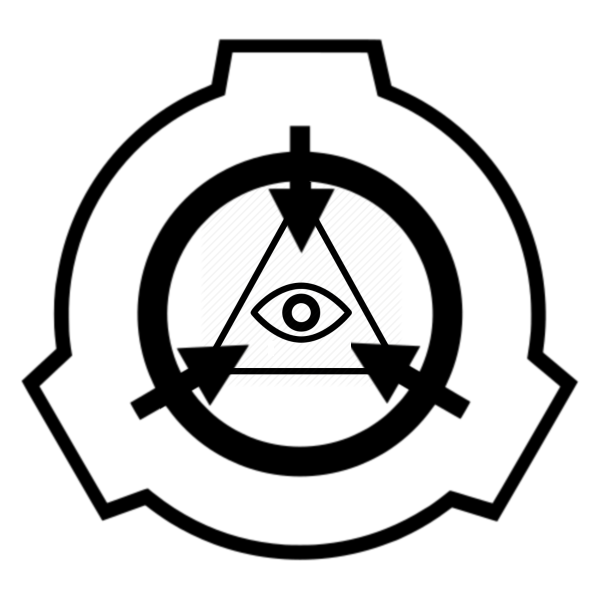 Unverified claims from an unknown source tells us that he allegedly went "off the grid" and laid the foundation for the so-called "D-Boiz Secret Society". Bunch of idiots, but they come in large numbers. 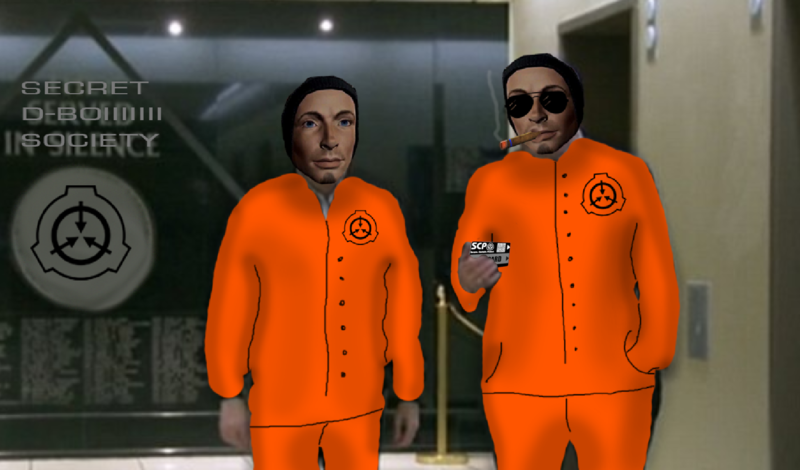 The pictured group was photographed during a recent containment breach. The scientist (man in the middle) was found dead when MTF arrived at the scene. He was assumed shot by either the Chaos Insurgency or overcome by the Class D personell. A search for the missing Class D subjects were conducted by the MTF, but proved fruitless. Anonymous sources claim that they may have entered the D-Boiz Secret Society.